Nassau, Bahamas – Bahamas Carnival is a collection of celebrations, balls, concerts, cultural shows and street parades that pull from all aspects of Bahamian culture and heritage staged during the months of April and May. There are four main events organised by the Bahamas National Festival Commission that will take place during Carnival Week, from May 3-9. During the course of five weeks, starting on Easter Monday, there will be a series of private parties and events that fill out the calendar for the entire carnival season. JunkaMania is a new event that will showcase Junkanoo music and other Junkanoo inspired folk forms such as drumming and dance. JunkaMania bands will perform originally composed music in concert-style, on the biggest Junka stage in the world. There will be a student version of this event, showcasing the best school bands, marching bands and youth groups performing original compositions inspired by Junkanoo rhythms. The all-star Bahamian concert will feature our top ten local finalists in the carnival song competition and a Grammy award-winning artist. Together, these masters of the music universe will transform the iconic festival village into the greatest musical experience the Bahamas has ever seen. Just the notion of our top vocal artists performing on the same stage with a mega international artist has tremendous and far reaching implications for the marketability of our local talent and music. Road Fever is the original Bahamian masquerade street party that closes out the Bahamas Carnival. It is a costumed parade incorporating a unique mix of live and recorded music. Competitive party groups of varying sizes will dance through the streets in a processional, ending at the most iconic foreshore grandstand crossing of any carnival. The costumes for this event will incorporate indigenous Bahamian material. From day one we have insisted that the costumes in the Bahamas Carnival will incorporate indigenous material, such as straw, sisal and Bahamian fabric. We would like for the costumes to be much lighter than typical Junkanoo costumes to allow for greater freedom of movement and ease of packaging. This is a new event that relies on the creative input of all interested stakeholders. The core events are all uniquely Bahamian and in substantive ways showcase Junkanoo and our indigenous music. The decision to name the festival Bahamas Carnival was not one that was taken lightly. The Bahamas is a brand unto itself with international recognition. Carnival is a universal label that over 200 cities around the world have adopted with tremendous success. With over 200 carnivals all over the world who is copying whom? There is no consensus as to the origin of carnival; some argue that it originated in Italy while others argue that it originated in France. In the final analysis though, we will attract the world to us so that we can blanket them with Junkanoo, Rake & Scrape, Bahamian art, dance, cuisine, craft; our collage of culture. 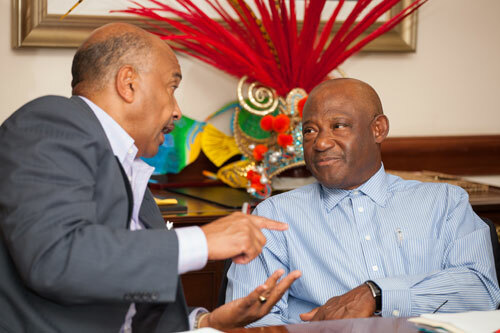 The choice for May was driven by several practical factors: Junkanoo takes place during the Christmas when the entertainment calendar is full and the tourism industry is at its peak. April and May (Fall) is one of the slowest seasons for the economy, which still relies on the tourism industry to employ more than half the country’s workforce. Bahamas Carnival will fill out the entertainment calendar in the spring and provide a tourist attraction to boost the economy. September and October, which are the other slow tourism months, were ruled out because it is typically the height of the hurricane season. We recognize members of the cultural community have serious concerns about the level of investment in cultural development over the years by the government. However valid those concerns may be, they do not negate the benefits a Bahamas carnival will bring to the Bahamian cultural community. All around the world carnivals have proven themselves to create economic opportunity for small businesses, which use their talents and creativity to innovate new products and services to sell to the captive audience generated by a carnival. Recording artists, for example, who have been one of the most neglected groups, will gain significant exposure from the Bahamas Carnival, both locally and internationally as the Commission will see to it that the twenty-five top songs from the Song Competition are played on US radio stations with high listenership from the Caribbean diaspora. In the execution of the festival, private companies at all levels of the supply chain, including those involved in food and beverage, cleaning, landscaping, printing, producing and retailing merchandise, sanitary disposal, security, electrical work, stage design, sound and lighting, printing, marketing, graphic design, fashion design, manufacturing, and a host of professional suppliers like accountants and lawyers will be engaged. Some of them will be contracted by other private companies and some will also be engaged by the Commission to execute aspects of the festival. All of this activity will create economic benefit in the private sector and contribute to increased GDP output. Everyone on The Commission is passionate about The Bahamas, our culture and investing in Bahamians. We do not believe foreign is better and we are not interested in giving away our collective inheritance. The carnival model creates an economic stimulus by generating incremental growth in tourist arrivals and expenditure, and significantly increasing domestic consumer activity over the carnival period. Businesses which participate in carnival related activities often see an increase in sales of up to 100 percent during the course of the season.